This 3-bedroom side-by-side duplex is located in a residential neighborhood in Mosinee, on the corner of Novak Street and Pinecrest. It features a large master suite with its own private 3/4 bath (with shower). The large living room is an open concept design opening into the dining area and the large U-shaped kitchen. The second full bathroom even has in-unit washer/dryer included. There is also an attached 1 car garage. This is a Section 42 Housing Development. Section 42 housing is designed for low to moderate income families. Because of this, the application for this duplex is a bit longer and more detailed than our standard rental application. If you want more information on the underwriting standards or income limitations on this Section 42 duplex, please contact our office at 715-359-1500. 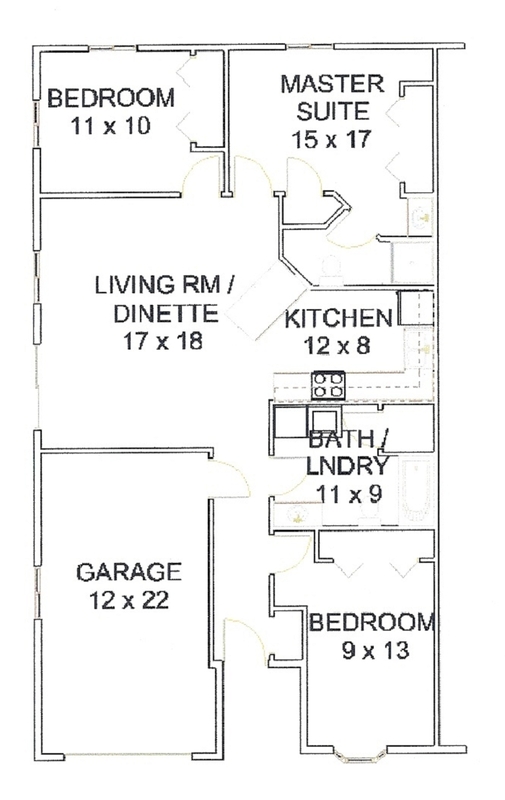 Living Room 17'1" x 18'1"
Full Bathroom / Laundry 11'6" x 8'9"
Pet Policy for Dog(s): There is an additional monthly rental charge of $50 for dog(s). This is not a per dog charge, however total number of dogs will be limited to whatever is allow per municipal ordinance (for the City of Mosinee, that is 2). Because the security deposit is the same as the rent, the deposit will also increase $50 so it is the same as the monthly rental rate. Pet Policy for Cat(s): There is an additional $200 security deposit for cat(s). This is a security deposit and is therefore refundable in accordance with Wisconsin's security deposit laws. NOTE: If you have both cat(s) and dog(s), ONLY the dog pet policy will be in effect, no additional cat deposit will be charged.